This 4 Channel DVR is unique that it will allow a total of 6 channels of video/audio recording. It supports up to four HDCVI or Analog Cameras using its integrated BNC ports, and an additional two ip cameras over the network. It is an economical choice for users looking for a Tribrid DVR to record 4 cameras at 1080P with 4 audio inputs, with the option to add 2 ip cams. It does not sacrifice on any of the features or reliability that more expensive DVRs offer. You can even use PTZ cameras with this recorder. Simply connect your cameras and start recording in real time HD. You can find compatible HDCVI cameras here, and choose from 720p or 1080p cameras depending on your requirements. 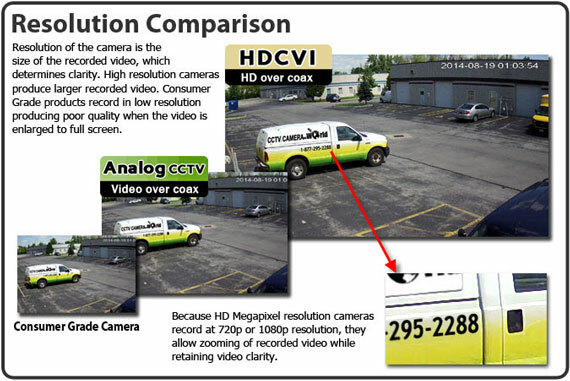 If you are unfamiliar with HDCVI cameras, they are a new type of security cameras that can send HD video over regular coax cable. They are great for use in upgrading existing systems, or in new systems where the fussy networking required for IP cameras is too difficult for you. If you are looking for a complete system be sure to check our 4 camera HDCVI systems page. 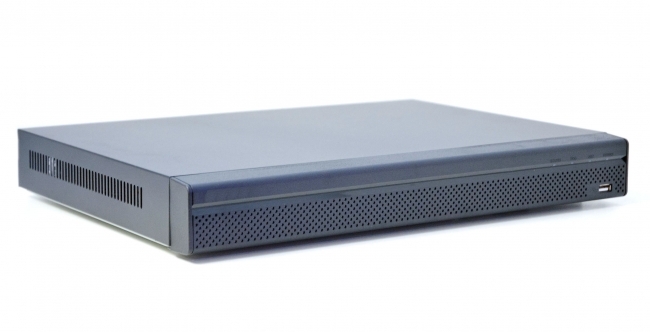 This 4 channel high definition DVR has a high speed processor with embedded Linux operating system that stays free of any viruses or Trojans. It comes with the same great user interface as all of our other DVRs, and uses H.264 encoding to record video at great quality while conserving hard drive space. All of the DVRs we sell include tons of features, most important of which is video based motion activated recording that you can use to save hard drive space and record only when motion is detected by the intelligent software on this DVR. The motion feature can also notify you on your phone or tablet when activated, and you can also playback video from your phone or tablet. If you need help, with every purchase you get free technical support for the product purchased. Remote viewing of your DVR is free and easy; just make sure you have broadband internet at the location where the DVR is being placed. This 4 Channel DVR is compatible with both Analog Security Cameras and HDCVI HD Over Coax Cameras on each channel, and up to two IP cameras (max 5MP) for a max of 6 channels. Will this unit work well with 35AIR cameras? And if so what cords, etc would I need. ALSO, how long would 1TB drive record? Need to be able to watch a disc or tape after being gone, etc. ? Thanks. This DVRCF04 does work with the 35AIR cameras. You can choose from the following cables that include an audio line. What software and apps does it require ? Please see our remote view security cameras page for videos and more information. Is the DVRCF04 compatible with the 150' siamese (sku: A150) cable and the 1080P dome camera (sku: HD26WA) with microphone. Yes it most certainly is. It is meant for use with the HD security camera with mic, however you can use a 150ft premade HD siamese cable and the camera will send audio over the coax cable. Please try to order the DVR and the camera on the same order so we can have them preset to work for you. Does this unit come with a hard drive installed? If so, what size? All of our DVRs are available with or without hard drives. You can select a hard drive from the drop down menu above the add to cart button.